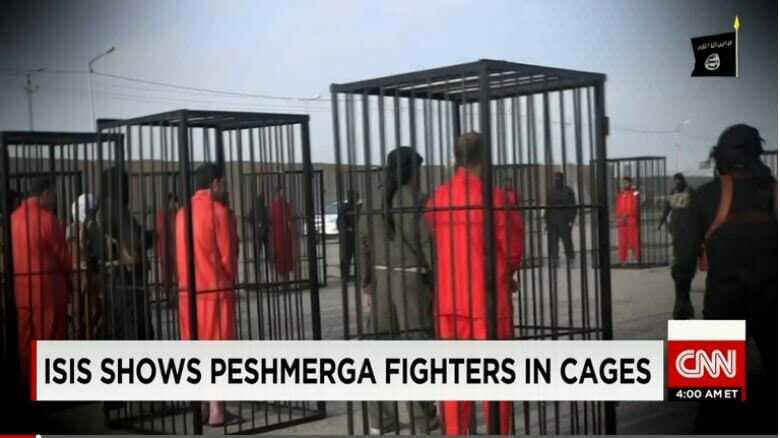 ISIS capured eight civilians trying to escape the glorious Islamic State caliphate in Iraq. The Islamic group put the prisoners in a cage, covered them with tar and then torched them. Islamic State (IS) militants burned to death eight civilians, including one infant, after trying to flee the areas held by the extremist group in southwest Kirkuk. According to a security source, who spoke to Al Sumaria News on condition of anonymity, the IS insurgents arrested the eight civilians after trying to escape the IS-held areas of Hawija, heading towards the region of al-Alam in the Salahaddin province. The source explained that the victims were then caged and tar was poured on them before setting them on fire, IraqiNews reported. The IS militants captured areas in southwestern Kirkuk back in 2014, when the extremist group first emerged in Iraq and declared its self-proclaimed “caliphate.” Since then the jihadists have executed hundreds of civilians and Iraqi security personnel. 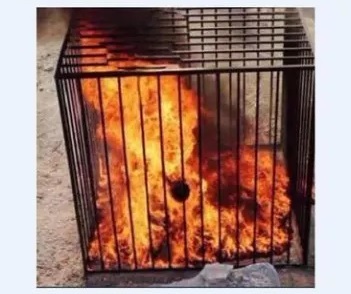 ISIS has a history of torching prisoners in cages. 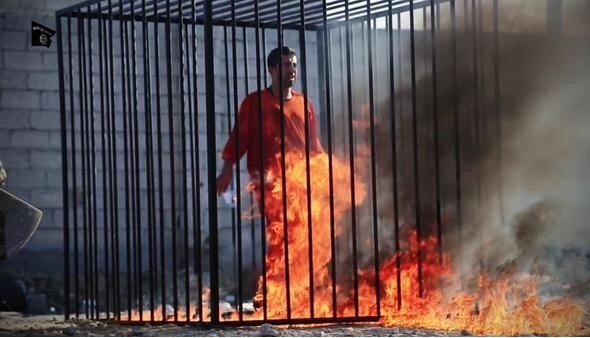 ISIS burned a Jordanian pilot alive in 2015.